The first step is choosing wood from a log with a lot of character. We lay out the rough panels side-by-side. We draw the locations of the borders and inlays on the table face with chalk. Choosing wood for the Movingui and Rosewood borders. Cutting the borders by hand with a special router. Clamping the borders in place using a special glue. Using a special bit to route the inlay channels. Hand work with a wood knife to prepare the channels for the inlays. Inserting the ebony and maple inlay with a special glue. The raw top is completed and shaped with a special hand router and bit. 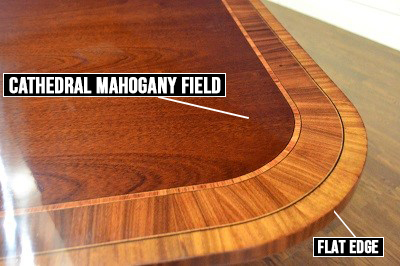 Now we turn the table over and attach the curved mahogany plywood corners, sides and trim. Next we attach the American made metal slides, latches and mounting plates. Followed by a special undercoating. Now we begin the prep work for the top with filler and sanding. Now we begin a 21 step finishing process that includes oil stains and toner to get just the right color. 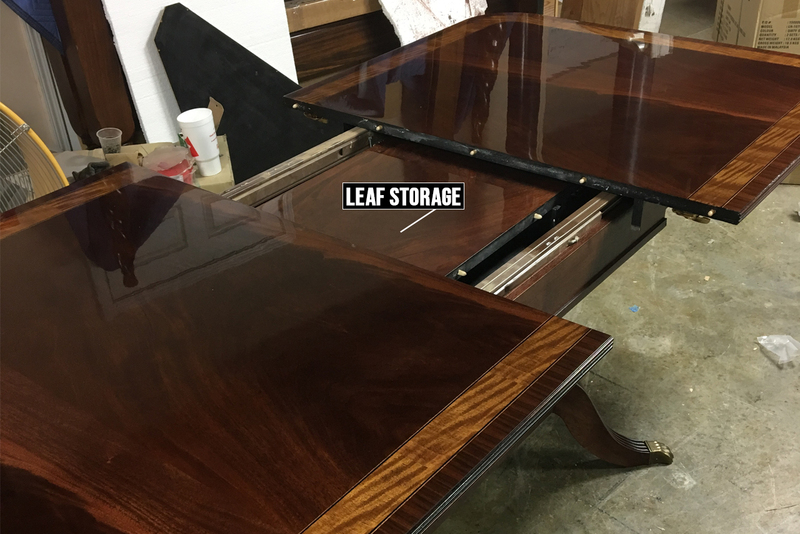 The finishing process includes multiple coats of lacquer to get the desired effect. 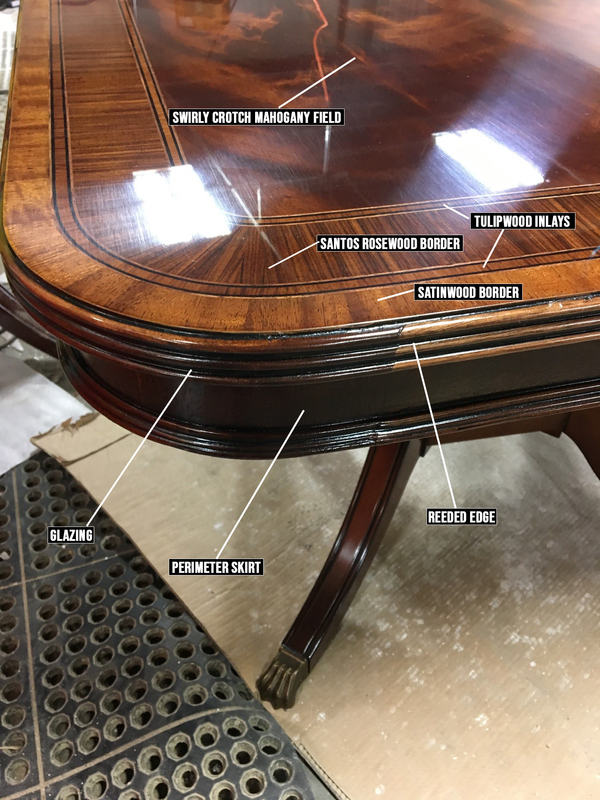 The final stages of the 21 step finishing process include hours of compounding and polishing by hand to get a “three dimensional” appearance as you walk around the table. We allow each step in the finishing process to naturally air dry. This takes time but gives our customers a superior finish. The finishing process can take up to three weeks, but it’s work the effort. 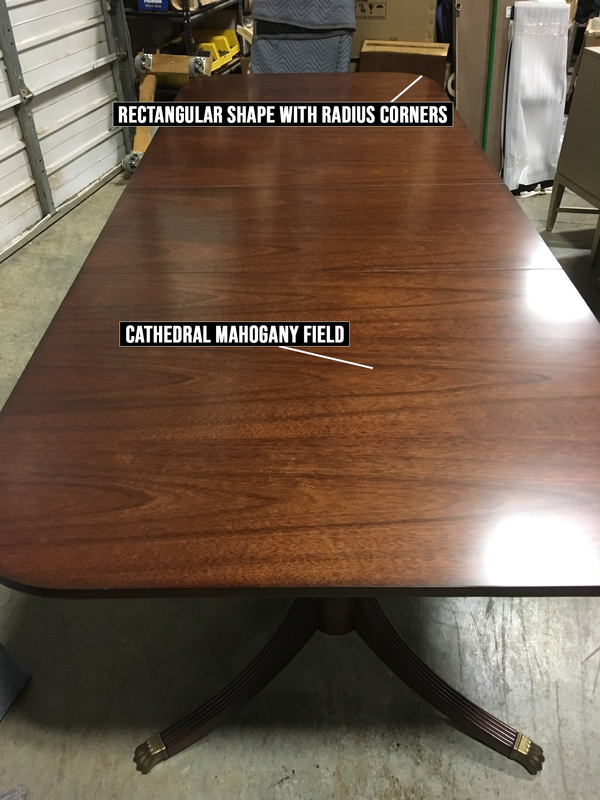 We can work with you to design your own custom table. 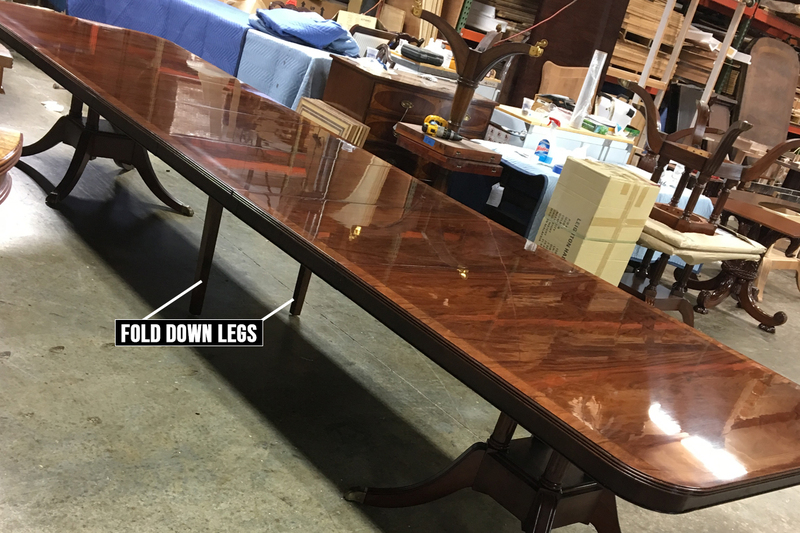 We can modify one of our standard designs to fit your needs or we can make a one-of-a-kind custom table for you. 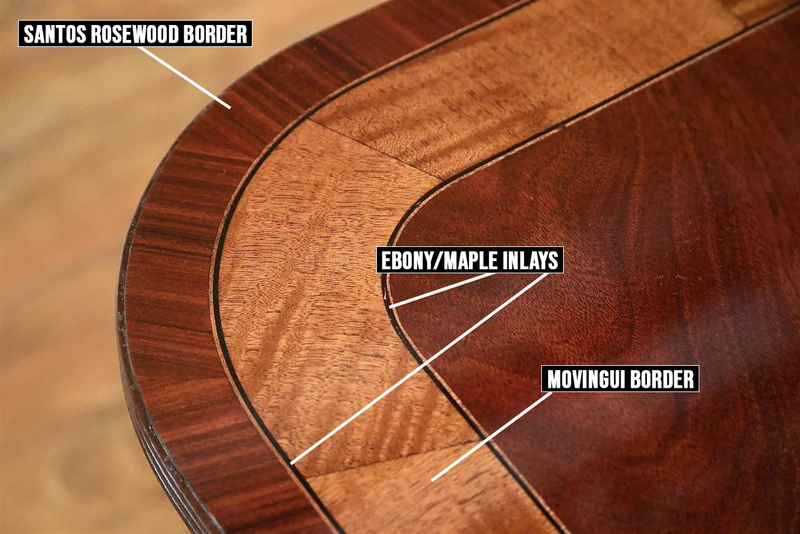 Here are some of the options to choose from in designing your custom table. Disclaimer: No two tables will accept stain the same. 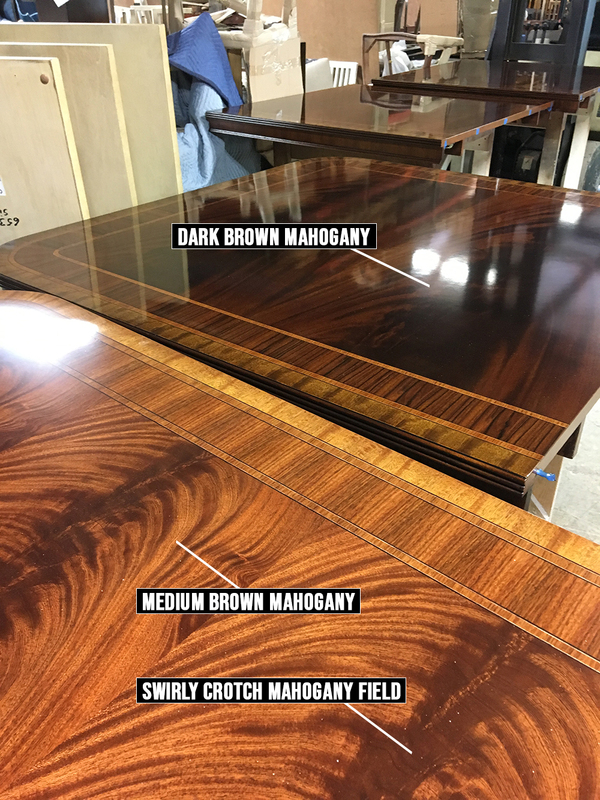 Therefore, specific tables can look somewhat different in color even though they were stained the same.